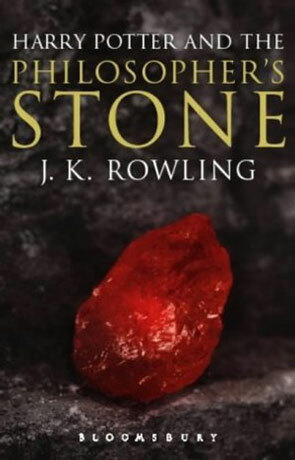 (Seems to be titled "Harry Potter and the Sorcerer's Stone" in the US). Not a word about Hollywood and the movie (which I will be seeing in a couple of days). Not a word about the merchandise and kids dressed as Potter. Not a word about how this book made the kids read again. Just the book. Some of my favourite books are kids/young adult books. Have Spacesuit, Will Travel by Heinlein has to have a spot somewhere on my all time top ten. The lure of books written for a younger audience is that I seldom have to look for hidden meanings or references to great classics, that you know you should have read (but haven't), to get the full force of the story. They are much more straightforward and you can usually gulp one down in a lazy afternoon or two. Harry Potter and the Philosopher's Stone, starts of with young Potter living with the Dursleys, which are some of the most horrid people to be described in print for a long time. They are exactly as an evil step family is supposed to be - having Potter living under the stair and feeding him scraps, puts them right up there with Cinderella's step-mother and sisters. Luckily Potter is really a wizard, which means that he gets to go to Hogwarts School of Witchcraft and Wizardry, which is a long train ride and a dimension away from the Dursleys. Hogwarts is just about the same as your average English boarding school from the fifties or sixties (I think - I not an expert on English boarding schools), except that everybody is a wizard or in training to be one. Harry Potter and the Philosopher's Stone follows Harrys first year at Hogwarts. Rowling has done a wonderful book full of the stuff of adventure. We get magic and suspense. We get revenge over the evil foster-family. We meet new and strange friends, people and places. All in all we get a great adventure. If you've just a tiny bit of adventure in you, you own it to yourself to read this one. Written on 1st November 2001 by TC.